INTERPOL announced the success of a major international operation against wildlife crime this week. Operation Thunderstorm, conducted in May and involving 92 countries, resulted in 1,974 seizures and identification of 1400 suspects worldwide. More investigations and arrests are foreseen as ongoing investigations develop. The seizures alone are astounding in value, and variety of species victimized by the illegal worldwide trade in animals and their body parts. Forty-eight live primates, 14 big cats, four thousand birds, 27,000 reptiles and 1.3 tons of elephant ivory, and forty-three tons of wild meat. 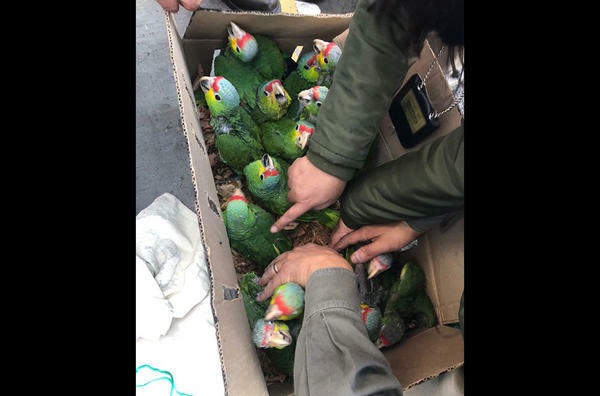 Photo above: live parrots seized by Mexican authorities. Organized crime groups target high-value animals and plant species, operating though complex, international networks. Often these networks are engaged in other illegal activity such as tax evasion, money laundering and human trafficking. Intensive and cooperative police intelligence on a global scale is required to identify individuals involved in the criminal activity. As the head of CITES enforcement said, no one country can tackle wildlife crime. Cooperation between source, transit and market states is essential. Operation Thunderstorm is an example what cooperative law enforcement can achieve against organized wildlife crime. 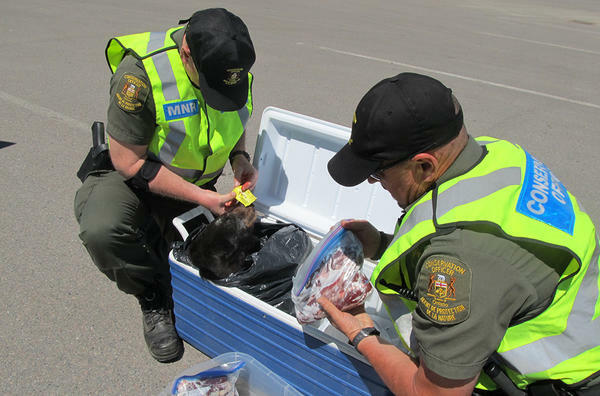 Photo above: bear meat and carcass seized by Canadian agents. The United States participated in the global effort. Two flight attendants were arrested in Los Angeles smuggling endangered turtles in their personal baggage.